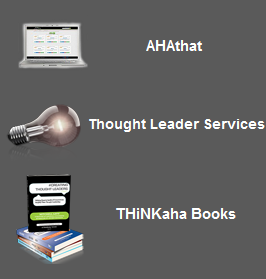 #LEADERSHIP tweet Book01 | THiNKaha: Become a recognized expert in your field of expertise. Compelling thought leadership content. help you become the leader you were born to be. ‘#LEADERSHIPtweet Book01’ is a small, practical handbook written for anyone who wants to hone the skills they need to become a remarkable leader. This book outlines a framework and a mechanism for both learning new things and applying current knowledge in a thoughtful and practical way. It provides a guide through the most important leadership competencies, offers a proven method for learning leadership skills, and shows approaches for applying these skills. The book explores real-world concerns such as focus, limited time, incremental improvement, and how we learn. 140 bite-sized ideas to help you become the leader you were born to be. 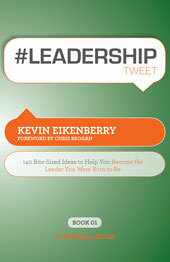 ‘#LEADERSHIPtweet Book01′ is a small, practical handbook written for anyone who wants to hone the skills they need to become a remarkable leader. This book outlines a framework and a mechanism for both learning new things and applying current knowledge in a thoughtful and practical way. It provides a guide through the most important leadership competencies, offers a proven method for learning leadership skills, and shows approaches for applying these skills. The book explores real-world concerns such as focus, limited time, incremental improvement, and how we learn. Readers will be challenged by the ideas inside — not because all of them are new, but because the book will encourage them to put what they know into action. It is also intended to be resource to come back to as a reminder of best practices. 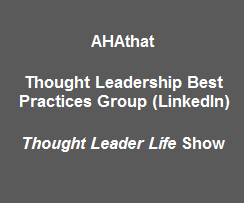 ‘#LEADERSHIPtweet Book01‘ is part of the THiNKaha series whose 100-page books contain 140 well-thought-out quotes (tweets/ahas). #2 Leaders know that to grow learners they must be learners first. #11 Remarkable leaders are curious. Curiosity leads to learning, but only when it is an action that we take every day. How curious are you? #49 Remarkable leaders plan for, prepare for, and project success. #96 Creative ideas are required to craft the future results leaders desire. #135 Your belief in someone’s potential is the first step towards helping them develop it.